Are there any additional costs for processing uploaded images or Graphic Design work? TheSpeedyPrint.com has absolutely NO hidden charges! The Product Prices are fixed and will have NO additional fees. What kind of Graphic files can I use? You can use the following file formats when designing on-line: BMP, JPG, GIF and PNG. We don't allow file sizes larger than 5 Megabytes to be uploaded. What resolution should be my graphics file? For best printing results, please make sure that your image file resolution should be 250 to 300 DPI (Dots Per Inch). What happens after I place my order? Once you design your stationery and place an order, our graphics department will re-touch, re-design or re-finish the ordered stationery for best quality results. What if my image file is not at 300 DPI? No need to worry. Each and every order processed through TheSpeedyPrint.com is checked and re-checked by our professional graphic arts department. Any image not meeting the professional printing quality will be enhanced or re-touched to ensure that it will be of professional quality. Will my printed product look the same as I view on my screen when I design it using TheSpeedyPrint.com? If you need any help designing your item, our graphic designers would be pleased to assist you. Just give us a call or send an email to support@TheSpeedyPrint.com to find out more. How do I know my printing will be of good quality? Our quality control team checks every order before dispatch to ensure it meets our strict quality standards, but you are also covered by our guarantee. Is it safe to order online? Yes, your transaction is completely secured. 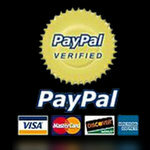 We use trusted services PayPal & 2 Check Out (2CO) to process all the credit card transactions. The secure page URL will be started with https:// so keep an eye on it while online order processing. What forms of payment d oes TheSpeedyPrint.com accept ? Following credit cards: Visa, MasterCard, American Express, and Discover. Sorry, we do not accept personal checks or COD's. How much do you charge for shipping/handling and what shipping options are available? 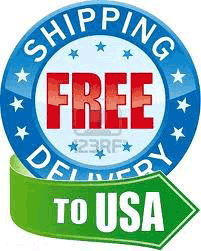 TheSpeedyPrint.com offers free shipping and handling within 48 contiguous states. Free Ground Shipping within 48 contiguous states. Usually Ships within 8 to 10th business day after final proof approval. Final proof approval must be received by 12:00 PM EST of business day otherwise one business day will be added to the shipping time. For shipments to the state of Alaska, state of Hawaii or other U.S. Territories, please contact our Customer Service Department support@thespeedyprint.com. Can I track my order? Once registered and after placing your order, our state of the art order management systems allows you to track each job through its various printing stages. What if I am not satisfied with my printing? We will always do our best to ensure you are delighted with your printing. However, if we make a mistake, we will reprint your job at no extra cost. For more details, please see our guarantee. How long will it take to get my order? There are many variables that will affect the shipping time of your order. However, there is a minimum of eight business days from the time of the order being placed, to the time of shipment. Do I have to re-create my order every time? You can view and re-order all previously placed orders with a single click. No need to re-design or re-create your work. All orders are saved for unlimited time period. How do I change my email/password? If you would like to change the e-mail address and/or password which was used to create your account, you may access your account using your existing e-mail address and password, then update profile to change your e-mail address. To change your password, go into My Account and click on Edit. Do you offer customized brochures? TheSpeedyPrint.com offers three various ways for you to design an eye-catching brochure. You may provide us with your brochure information on-line and our in-house Graphic Design Department will create your brochure. You may customize your brochure, then upload your completed layout to our Web-site then our in-house Graphic Design Department will review your layout and edit if needed. You may upload a previously designed brochure to our Web-site for printing. Whatever option you choose, our in-house Graphic Design Department will send you an electronic proof of your brochure, via e-mail, for your review and approval. Free Designing: The Speedy Print will only provide design files at 72 DPI (low resolution). Higher resolution designed files can be purchased and will be priced individually. Please contact us at support@TheSpeedyPrint.com if you would like a price quote for your high resolution designed files or fill out our "Get Prices" form. Payment Terms: All orders must be prepaid. We accept Visa, MasterCard, American Express, Discover, and Electronic Checks. If you would like to pay by a regular check, your order will not print until the check has cleared. This may cause a significant delay in your order. Credit terms may be applied for and are reviewed on a case by case basis. Turnaround Turnaround time for a print job where a PDF or hard copy proof is selected begins once the proof has been approved by you. If your job is approved by 2 P.M. Eastern Standard Time, turnaround time begins that business day. For example, a job with three-day turnaround that you approve by 12:00 pm Monday will be shipped out to you on Thursday afternoon. Please note: that if we are unable to print your files because they do not conform to our file requirements, your job status will be put "On Hold" and your turnaround time will be reset. 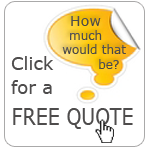 Quotations / Estimates: Prices posted on this website are subject to change without notice. Written estimates are good for 30 days. An estimate not accepted within 30 days may be changed. Copyright: The Speedy Print reserves the right to use its sole discretion in refusing to print anything it deems improper or known to be illegal. The Speedy Print is not liable for any damages resulting from unwitting violation of copyright laws or illegal use of trade names or slogans. The client guarantees the legal title of all matter submitted to The Speedy Print for printing and/or publication. All material and software Copyright (c) 2004 The Speedy Print, All rights are reserved worldwide. It is strictly prohibited to copy, Republish or redistribute any of the material and software contained on the web site of The Speedy Print. Cancellations Cancelled orders require compensation for incurred costs and related obligations at the time of cancellation. Due to our company procedures, you may be charged compensation according to the phases of the order in process. For optimum relaxation to our customers The Speedy Print has defined the chargeable percentages to reduce the mutual loss for both the parties. Orders may be eligible for cancellation upon request through an email to our customer support department support@thespeedyprint.com. Our Customer Service Team will inform you of cancellation charges depending on the phases of the order. Design Only Orders / Web Flash Banners / Business Logo: No Refunds will be given on such orders as printing & Shipping are not involved in them and only designing theme & Ideas are which you paid for these services. Once the order has been placed successfully, No Cancellation will be accepted for these orders because our designers start working instantly on these orders. Accuracy of Quote Specifications: Quotations are based on the accuracy of the specifications provided. The Speedy Print can re-quote a job at the time of submission if the art does not conform to the information on which the original estimate was based. Orders placed with The Speedy Print are to the client's knowledge correct, and there are no conditions or agreements relating to the order which are not written or accompanying said order. Liability: Print Runner, Inc.’s liability shall be limited to the stated selling price to the customer of any defective goods, and shall in no event include special, consequential, incidental, indirect or similar damages, including without limitation, lost profits. The Speedy Print warrants that every product manufactured by it meets industry standard for such product and is free of any material defect in workmanship. IT IS EXPRESSLY AGREED THAT THIS WARRANTY IS IN LIEU OF ALL WARRANTIES OF FITNESS FOR PARTICULAR USE AND MERCHANTABILITY. The Speedy Print makes no other warranty and no actions or words of The Speedy Print or its officers, employees or agents shall constitute a warranty. Indemnification The customer represents that it has the legal right to produce all printed materials ordered from The Speedy Print. In the event that a charge, claim or demand, or arbitration, action or proceeding (collectively, a "Claim") is made or commenced against The Speedy Print based upon, relating to or arising from the alleged wrongful acts of the customers, or alleging that the printing performed or product produced by The Speedy Print ordered by the customer: (a.) infringes any copyright, patent or other proprietary right of any person; or (b.) contains matter that is libelous, slanderous, defamatory, scandalous or obscene, the customer shall indemnify and hold The Speedy Print harmless from and against any loss, damages, cost and expense arising from or related to the Claim including without limitation; (1.) defending The Speedy Print against any such Claim (2.) paying any judgment or award against the customer; and (3.) reimbursing The Speedy Print for any legal fees and expenses it reasonably incurs in responding. Electronic Manuscripts/Images It is the client's responsibility to maintain a copy of the original computer files, artwork and transparencies. The Speedy Print is not responsible for accidental loss or damage to media supplied by the client or for errors on supplied artwork furnished by the client. Until The Speedy Print can evaluate digital input, no claims or promises are made about our ability to work with jobs submitted in digital format, and no liability is assumed for problems that may arise. Any additional translating, editing, or programming needed to utilize client-supplied files will be charged at our current rates. The Speedy Print does not archive your work for longer than it takes to produce the final product. Free Graphic Designing The Speedy Print offering free graphic designing service on the printing orders and will not charge for designing services. Our highly professional designers’ team design the job as per customers instructions and their requirements. Only low resolution (72dpi) JPEG Proof will be provided to the customers for final approval and the designed approved artwork will be kept by The Speedy Print and will be an asset. If a customer needs to purchase the artwork and want to get it printed from any other source then artwork will be purchased on the prices determined by The Speedy Print and High Resolution files can be obtained. Hard Copy Proofs When requested by the customer, The Speedy Print will submit color proofs for the customer's review and approval. Hard Copy Proof Charges will be finalized with our online sales representatives or through an email. Once we will get your Approval email then the final order will be printed and if customer will need any further changes then we might charge for that. (depends upon the changes). Final Approval of Proof In order to provide an avenue for faster turnarounds, The Speedy Print. may supply an electronic PDF proof when requested by the customer. PDF proofs are optimized for fast web downloads, and as a result, may appear “pixilated”. It should be noted that the final printed pieces will not appear in this manner, provided that the customer supplied artwork complies with our Artwork Guidelines. Furthermore, due to the variation in monitor colors and adjustments, PDF proofs may not provide an accurate color representation of the final printed work. Overruns / Under runs The Speedy Print will normally deliver the exact quantity of goods ordered plus a small additional amount. There is no extra charge for the additional amount. In the event of a significant under run, Print Runner, Inc. may bill for the actual quantity delivered. The generally accepted trade practice is plus or minus 10%. Delivery & Order Shipment Free Ground Shipping within 48 contiguous states. Usually Ships within 8 to 10th business days after final proof approval. Final proof approval must be received by 12:00 PM EST of business day otherwise one business day will be added to the shipping time. The Speedy Print will always intend to avoid any delay in delivery schedules. All The Speedy Print customers agree not to hold The Speedy Print liable for delays in shipments caused by weather conditions, shipping company delays, international customs issues or any other circumstances beyond The Speedy Print controls. The Speedy Print will always act to make sure that delivery schedules are met. However, unexpected equipment failure, malfunction and or technical problems may delay the printing process. In case of delay caused by technical difficulty, rush charges / fees will be refunded or waived where applicable. However, technical difficulty will not be the grounds for order cancellation.